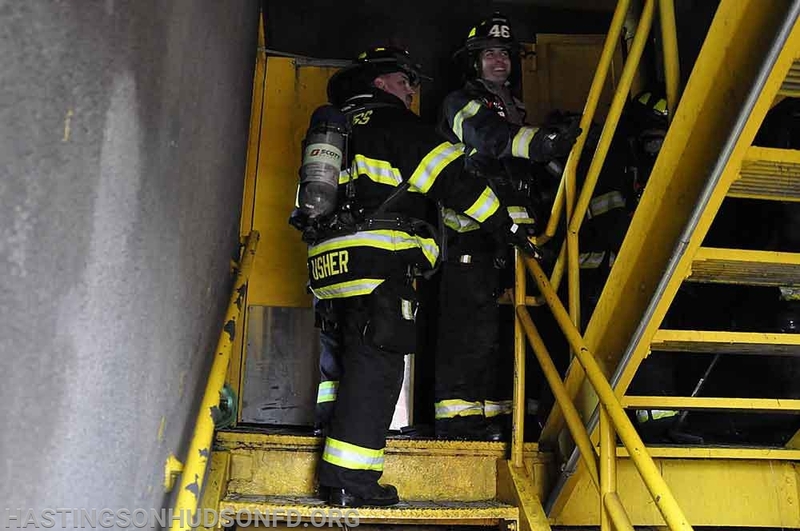 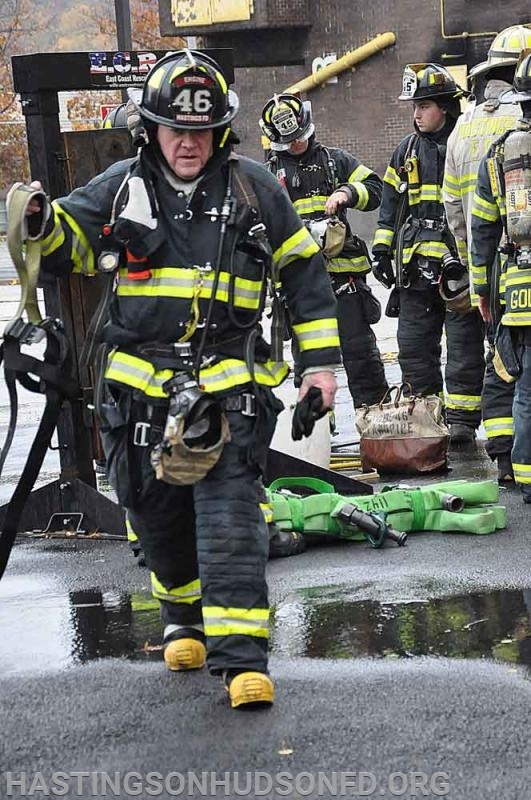 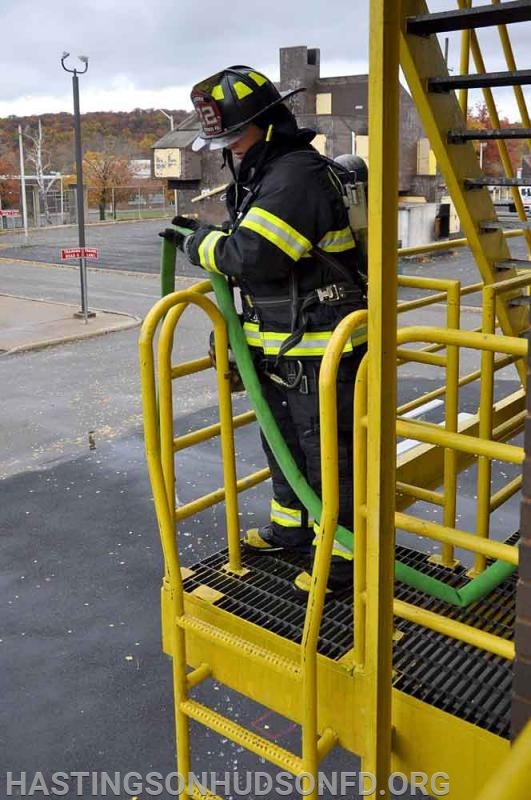 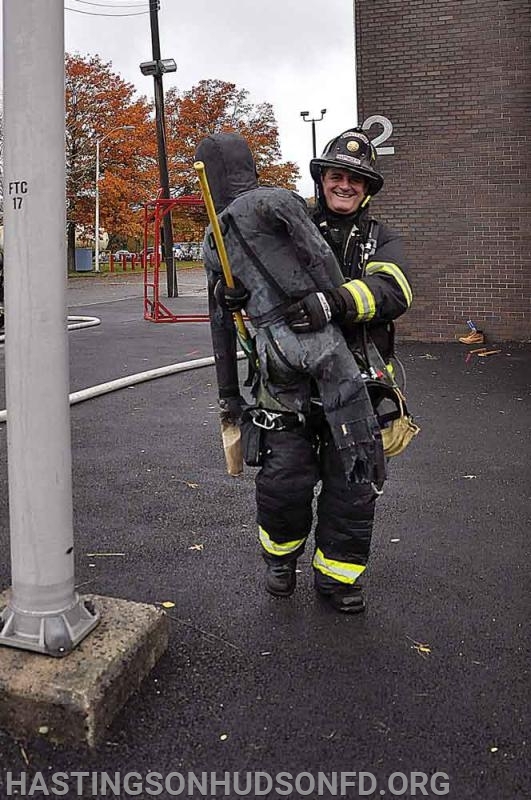 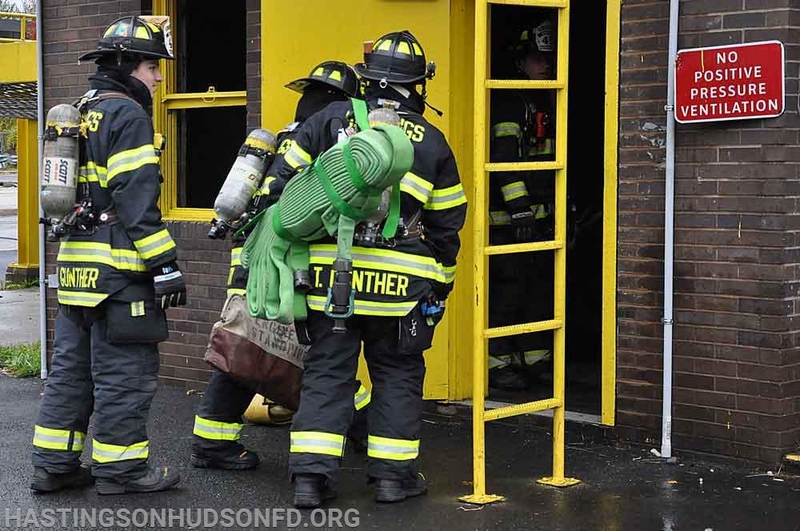 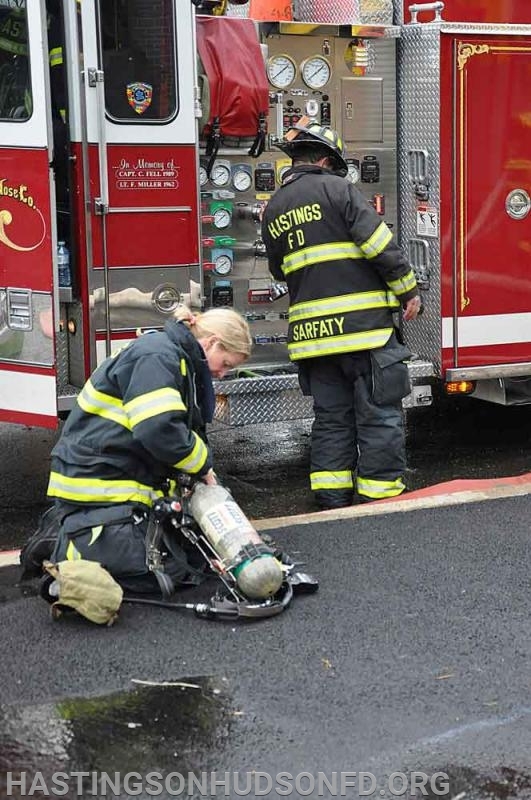 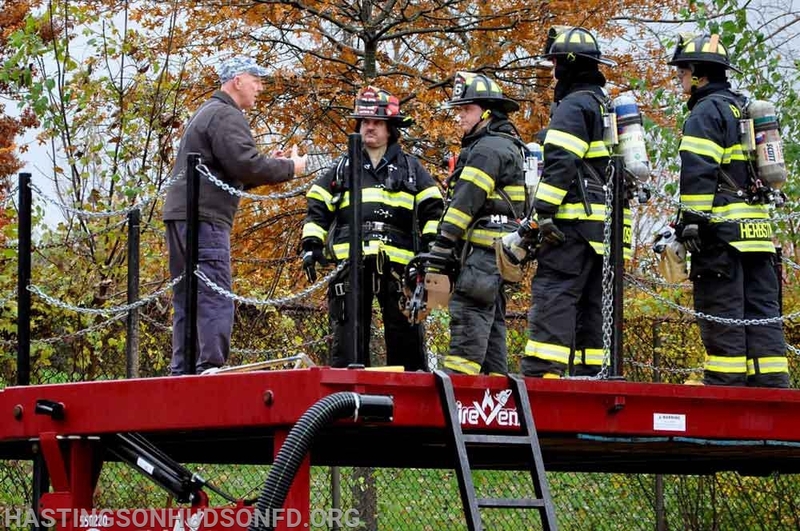 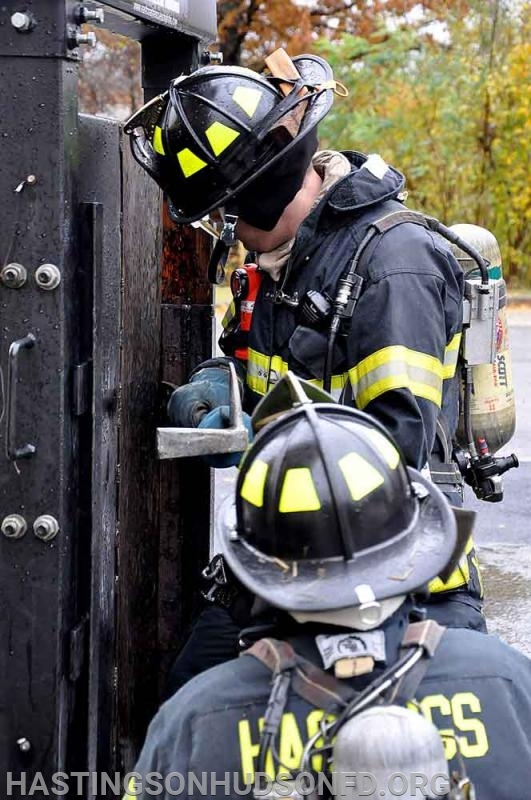 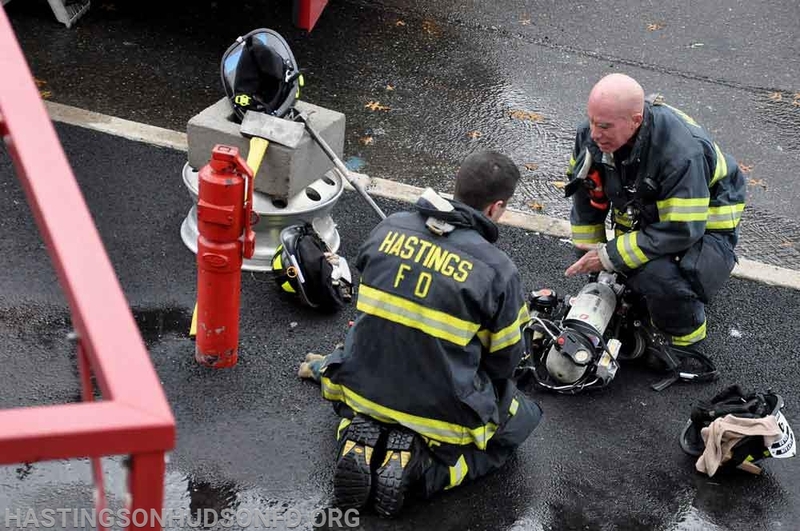 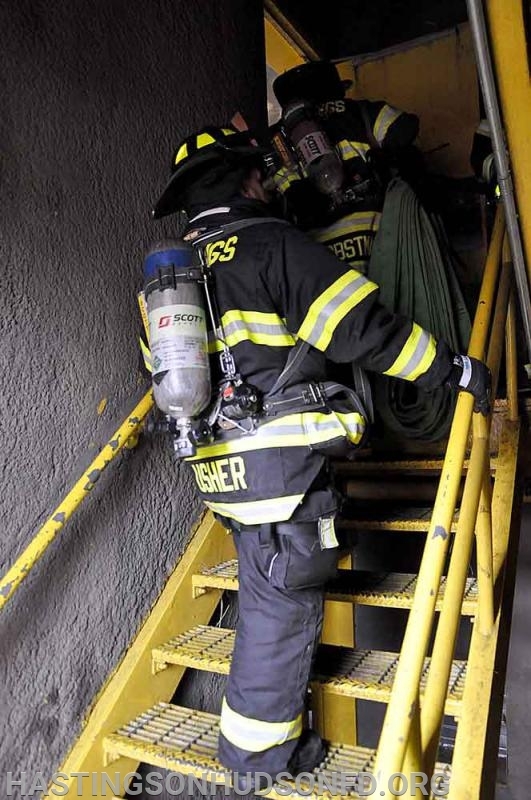 The Hastings-on Hudson Fire Department conducted a simulated High Rise fire drill on Saturday, November 3rd, at the Westchester County Fire Training Center in Valhalla to maintain the department's ability to respond to such an emergency. 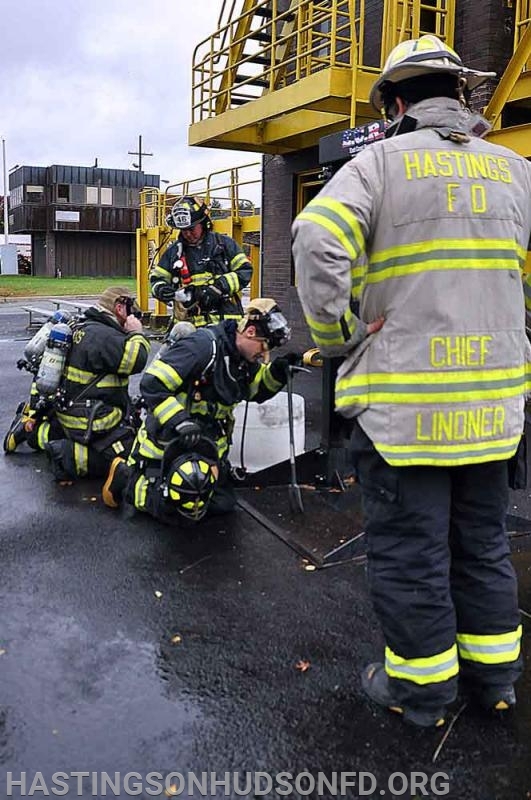 17 members from the different companies within the department attended, including EMTs from the Fire Department Ambulance Corps. 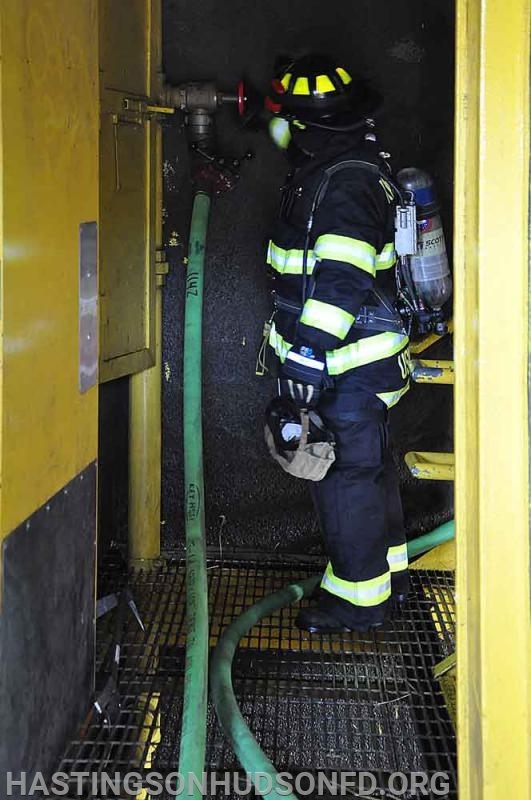 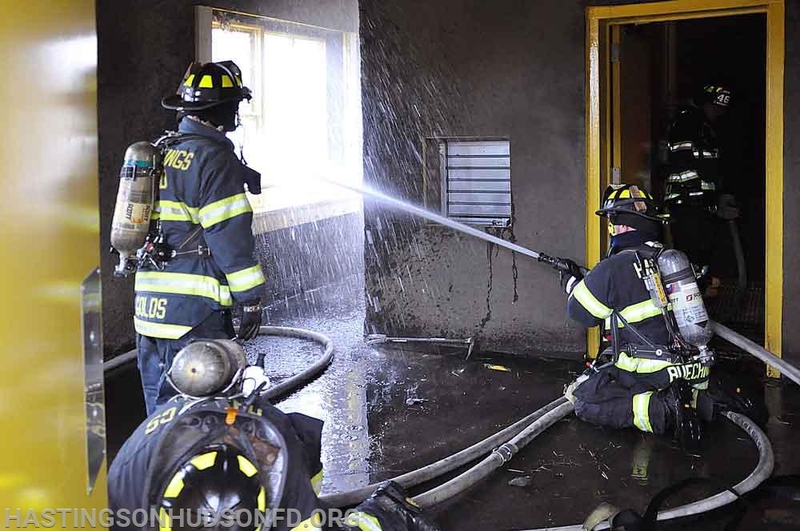 The training covered standpipe operations, hose line advancement, Self Contained Breathing Apparatus (SCBAs), roof ventilation, along with search & rescue. 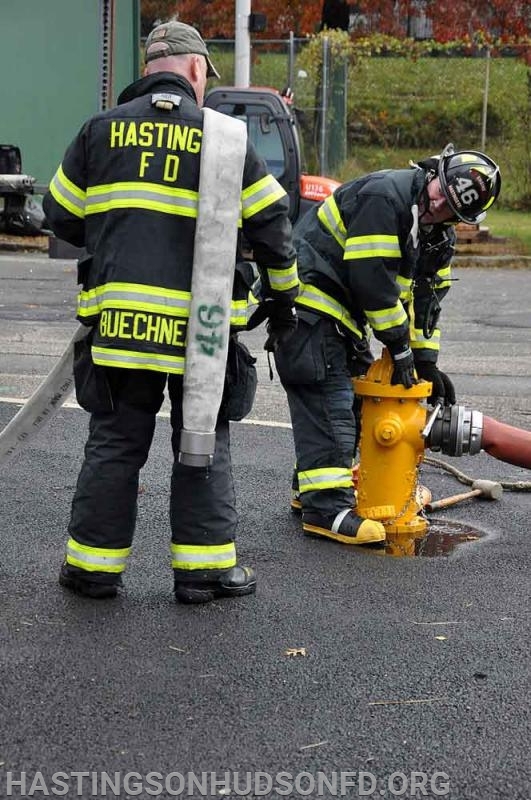 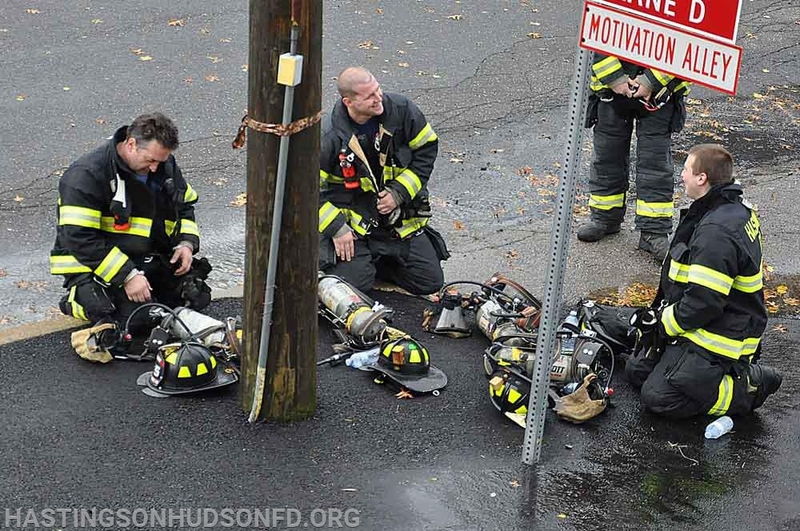 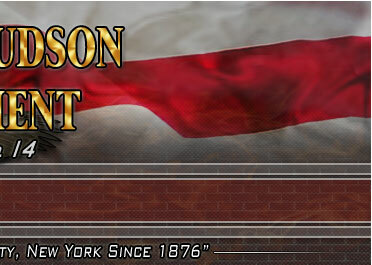 This is part of the ongoing commitment to training that our all-volunteer Fire Department makes on a regular basis to protect the citizens and property of Hastings-on-Hudson.